How many of our Year 2 common exception words can you read and write? We love our Read, Write Inc sessions in school. Use the link below to access free eBooks from Oxford Owls. In writing, we have been using the text 'Man on the Moon' by Simon Bartram to identify some of the Year 2 grammar features. So far we have found adverbs, different sentence types and apostrophes! We then used some of these features in our narrative writing. 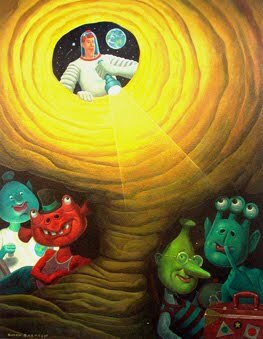 We would all love to search the moon for aliens just like Bob the astronaut! 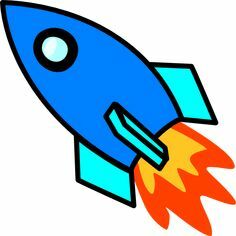 After we finished reading 'Man on the Moon' we decided to create our own space rockets for Bob the astronaut. We worked collaboratively to create our very own space rockets. We have been busy learning how to use technology. We have looked at opening and saving files and using tools on paint such as; different brush strokes, using different colours and inserting shapes. We worked with a partner to create wonderful arty masterpieces! For European day of languages, we paired up with Year 1. We focused on Welsh and Italian. We learnt how to say basic Welsh greetings, painted using Welsh colours and played games outside in Welsh! We also learnt Italian greetings and even made traditional Italian pizzas, they were delizioso! In PE, we have been developing our throwing and catching skills. We have been using targets to help us aim. we now know how to over arm and under arm throw. At first we found it tricky, but we were resilient and now we're throwing experts! Every Friday, we play lots of different games which involve maths! We play dominoes, snakes and ladders and bingo just to name a few! We have so much fun playing together and imrpove our mental maths skills. Check out this video for a multiplication workout! We completed a yoga session entirely in Spanish! We listened carefully, followed instructions and created some fantasitc shapes with our bodies. Check out the video below and practise at home! In Writing, we have been reading The Jolly Postman. We created our own role on the wall description of the postman using adjectives. We then used our adjectives in our character descriptions. We love the book so much! You can listen to the story below. In maths, we have been busy looking at 2 digit numbers. We have been partitioning and recombining 2 digit numbers using base 10. We have also completed a 2 digit dominoes challenge in the hall. We had to find the matching cards using our knowledge of 2 digit numbers. We're becoming 2 digit number masters!